Photos by Natalie Graham (top), Drew Baker (left), and Cody Gold. This isopod has an elongated, untapered, segmented body. 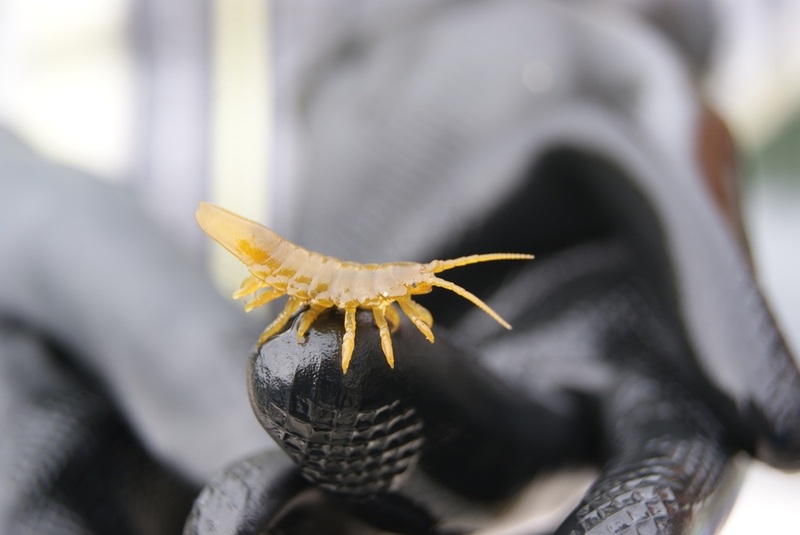 It looks similar to an elongated pillbug in appearance, and reaches 4 cm long. 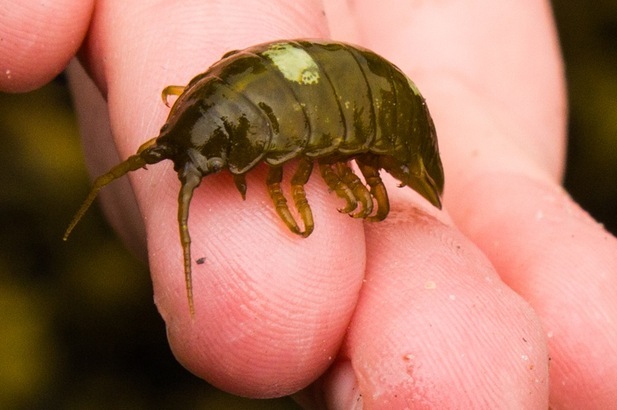 Like other isopods its body is dorsoventrally flattened (ie flattened against the ground). Its colour is based on the algal species with which it associates: it can be tan, brown, red, green, black, or even pink. See the Rosario Beach Marine Laboratory page on this species for a more detailed description. This species inhabits the mid-intertidal zone to 15 m. It can be found in and around mussel beds, kelp, and under rocks. Its range stretches along the coast of western North America from central Alaska to northern Mexico. It is also found along the coast of Siberia. Other similar-looking species with untapered bodies are usually thinner. This species can swim well. It eats and gains protection from the algae with which it associates. It also sometimes eats dogwinkle egg capsules. Cowles, D. (2006). Idotea (Pentidotea) wosnessenskii (Brandt, 1851). 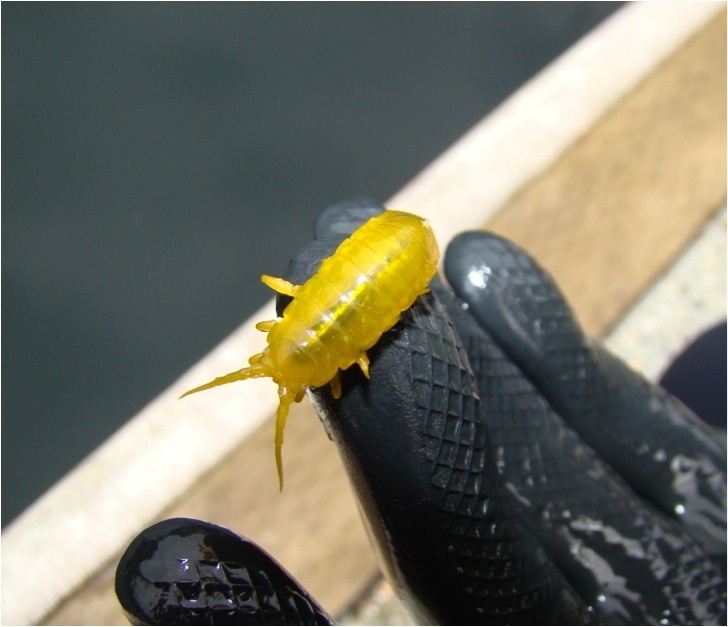 Invertebrates of the Salish Sea. Rosario Beach Marine Laboratory. Accessed 05/08/2013. Harbo, R. M. (2011). Whelks to whales: Coastal marine life of the Pacific Northwest. Madeira Park, BC: Harbour Publishing. P. 112.